Gifts from the Pirates: "I just want to spread hope, peace and chili dogs for all"
"I just want to spread hope, peace and chili dogs for all"
After choosing to be in the Nintendo camp back in the late 80's while I was at school, despite all my friends swaying towards team Sega, I began a life-long relationship with Mario and his friends. I've grown up with Mario almost as far back as his own life began and because of this, I've never fully warmed to Sonic... Until now. Sure I could see why my friends enjoyed playing the sonic games, they are colourful and fast paced, but for me, they never really had the magic of Mario. This is something that has stayed with me for over 20 years. I've tried many times over that time to give Sonic another shot but I'd play briefly and then lose interest. I assumed that this would be the same with the latest instalment Sonic Boom Fire and Ice, the boys love the games though so I thought that I could base the review on their thoughts about game play and content. 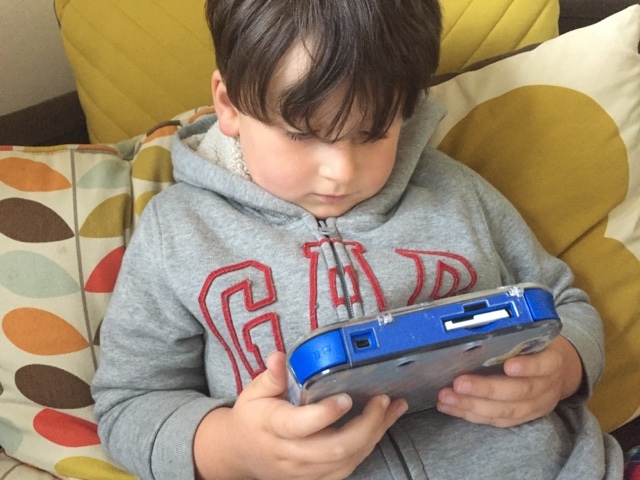 As I watched Opeie play over his shoulder and was handed the console every time he needed help, I was dragged into the game and quickly got hooked. 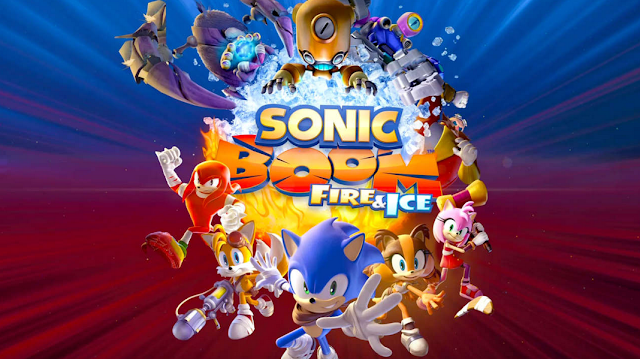 Sonic boom is an offshoot of the Sonic the hedgehog series and is a follow-up to Shattered Crystal which surprisingly I had never heard of (considering I pay close attention to all the Nintendo game releases), this one clearly slipped by without me realising though. 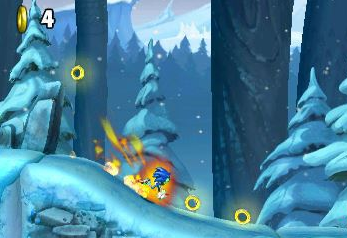 The game is a fast and colourful side-scrolling game where you can use Sonic and his friends unique abilities to progress through each level. 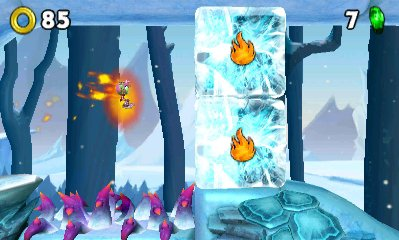 The fire and Ice side of things, makes the gameplay a lot more fun as to melt ice structures Sonic can engulf himself in flames but can also freeze water by surrounding himself in ice. The elemental powers are a nice touch to the game. 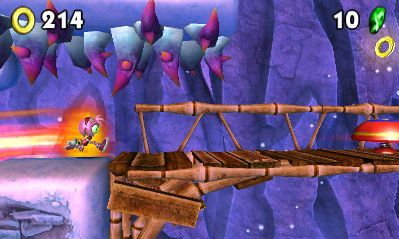 Dr Eggman makes his return as the game's antagonist and has found a new element (Ragnium) which he is using to create an army of super robots (that old chestnut!). Of course, Eggman and his goons are no match for Sonic and his friends and as you progress through the game you plough through his army as you go. 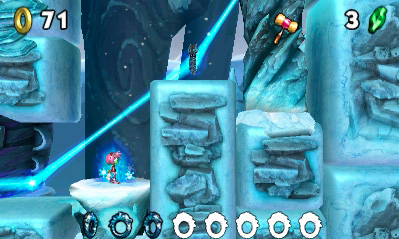 On top of the main game play, Fire and ice has a variety of special stages and minigames and although I've not played yet, it also offers multiplayer modes. 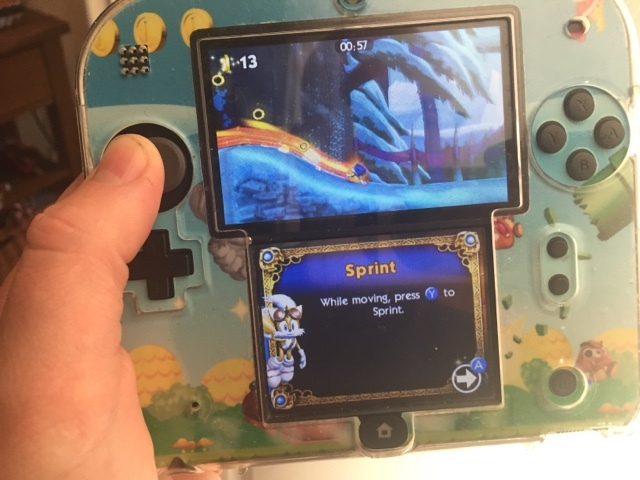 After playing Sonic Boom fire and Ice I think I've been converted. I'm not sure I'll go looking through the Sonic the hedgehog back catalogue but this game has got me hooked for now and I'm fully embracing it.